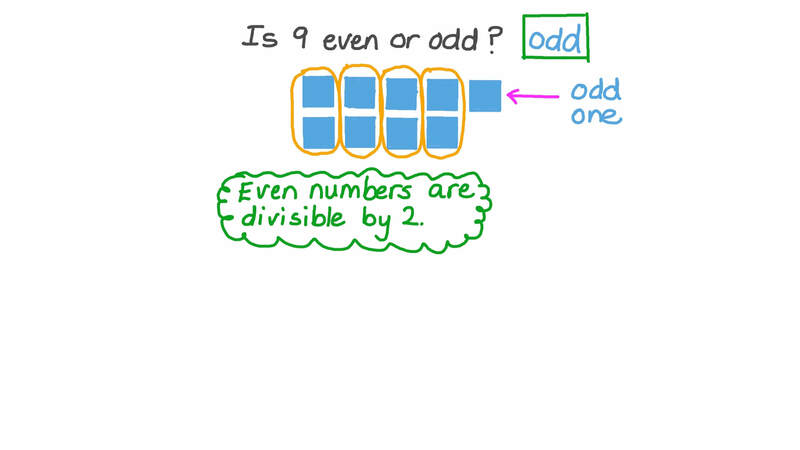 In this lesson, we will learn how to decide if a number up to 20 is odd or even by seeing if we can make two equal groups without one left over. There are the same number of squares in each of these two circles. 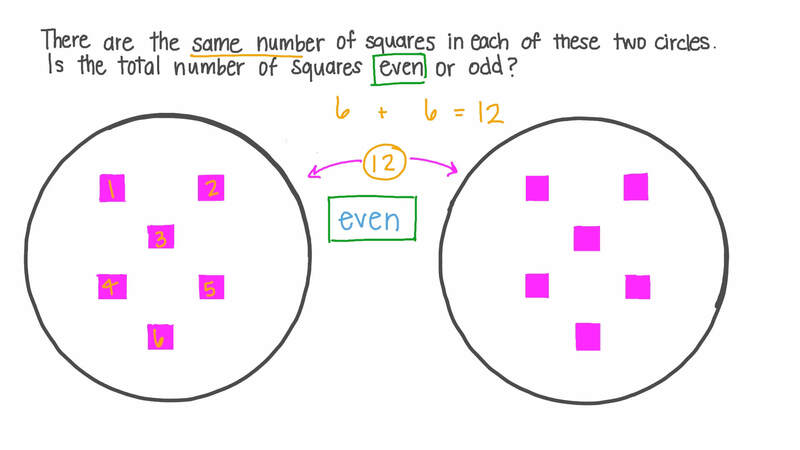 Is the total number of squares even or odd? Is 8 even or odd? 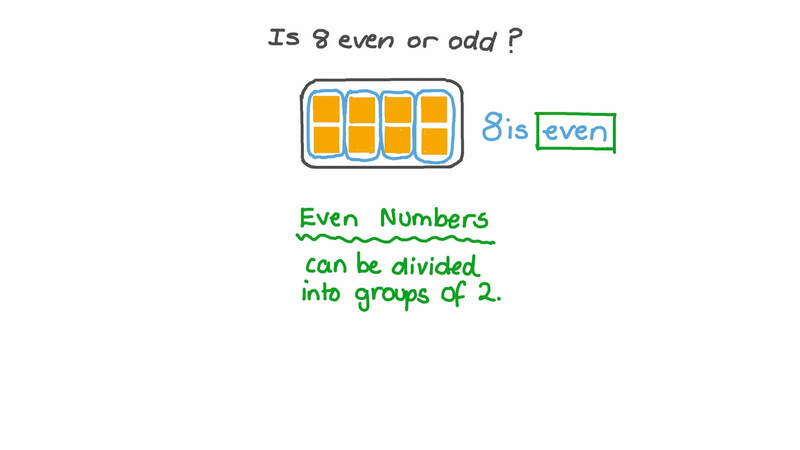 Is 9 even or odd? There are the same number of squares in each of these two circles, and one more square is outside the circles. Sherif bought a pack of 15 stickers. He already had 3 of them, so he gave them to his friend. Does he have an odd or even number of stickers left? A An even number, because 12 things can be put into two equal groups. BAn odd number, because they cannot be put into two equal groups. C An odd number, because 3 is odd. D An even number, because the digit 8 in 18 is even. E An odd number, because the digit 1 in 12 is odd. A number is even if it can be split into two groups of equal size. These 6 squares can be split into two groups of 3 squares. So, 6 is even. A number is even if we can split it into groups of two with nothing left over. These 8 squares can be split into 4 groups of 2 squares. So, 8 is even. A number is odd if it cannot be split into two groups of equal size. These 7 squares can be split into two groups of 3 with 1 left over. So, 7 is odd. Here is a group of 6 people. Can we split them into two groups with the same number of people in each group? Here is a group of 7 people. Is 13 even or odd?